It’s a no-brainer that food tastes better al fresco, but the decision to take music outdoors is a little more complex. Your house has traditionally been your wireless speaker’s best friend, protecting it from the elements and providing enough sonic support and noise isolation (i.e., walls) to let it sound its best. But many of today’s wireless Bluetooth speakers—including the models listed below—are ready to take on the challenge of the great outdoors. They have good battery life and enough volume to fuel an impromptu dance party. And many add some degree of waterproofing, so they can be played on the pool deck or the beach. Consumer Reports tests wireless speakers for their sound quality and the convenience of their audio features, but we don’t test them for water resistance. So in this roundup we’re relying on manufacturers’ claims about waterproofness. A little bigger than UE’s best-selling Boom 2, the Megaboom features whimsical and colorful styling that says it’s time for fun. 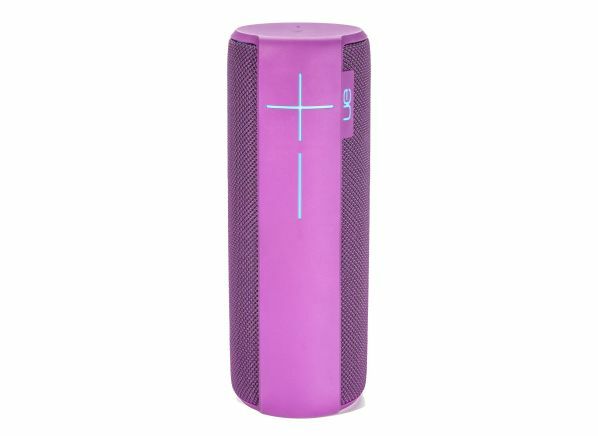 Our testers weren’t impressed by the Boom 2’s overall sound quality, but they were much happier with the deep bass and clear midrange of the Megaboom. According to the manufacturer, the Megaboom can withstand immersion in up to 1 meter of water for a half-hour, so it could be the right device for blasting the Beach Boys’ “California Girls”—or Katy Perry’s “California Gurls”—on your beach blanket. The manufacturer says the Megaboom floats, but we still suggest you move it before the tide comes in. Portable wireless speakers can live a difficult life, rattling around in the bottom of a beach bag, getting knocked off a picnic table, and maybe even getting lost entirely. All of which argues in favor of a modestly priced model, like the high-value Flip 4. Despite a price below $100, the Flip 4 boasts impressive sound quality. Our test team found it easy to pair via Bluetooth, and the battery life was long enough for even your epic 81-song Abba-to-Van Halen playlist. And JBL says the Flip 4 is not only splashproof and spillproof but also totally dunkable. Sometimes basic is a good thing. 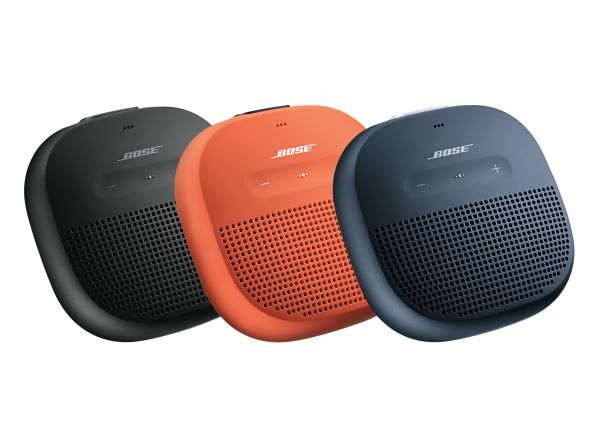 The Bose SoundLink Color II doesn’t have the biggest menu of features, but testers reported that it shines where it matters most. It sounds good with powerful sonics that belie its modest size and price of about $130. If you simply want to listen to “Walking on Sunshine” while sitting out in the sunshine, the SoundLink Color II might just be the speaker for you. Bluetooth pairing is easy and intuitive, the speaker is supposed to be splashproof, and it’s less expensive than lots of competitors with similar sound quality. 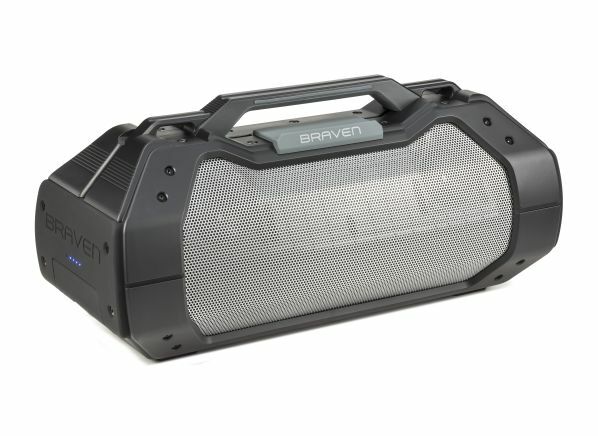 The brawny Braven BRV-XXL is the perfect companion for car camping or tailgating or even a workbench. The XXL is hefty—19 pounds, including the bottle opener on its carrying strap—but our testers found that the big Braven delivered heavy-duty sound. It provides volume aplenty from its four large drivers, while its substantial subwoofer is all about the bass. All told, the Braven received the highest rating of any wireless portable we tested. It’s also one of the priciest portable speakers we tested, around $300 and up. Braven says the XXL will stand up to poolside splashes but not a dunking. The company claims that its 15600mAh internal battery can power the XXL for 14 hours while serving as a charging station for smartphones and other small electronic devices. The XXL’s built-in microphone jack, combined with its rich sonics, all but invites you to sing karaoke under the stars. 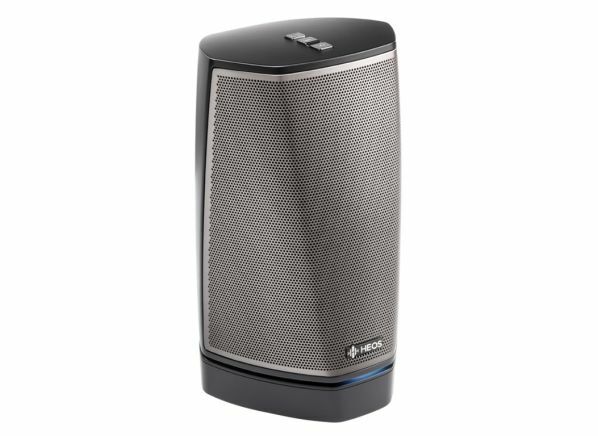 If you want an outdoor speaker that can play well with your indoor multiroom system, the Denon Heos 1 fills that unique niche. It can integrate with Denon’s larger wireless speakers, all controlled by an intuitive smartphone app, so you can listen to “Revolver” in the den, in the kitchen, and on the deck, all perfectly synchronized. But unlike its main rival in the system speaker wars, the Sonos Play: 1, the Heos can be played outside and can even withstand a light rain. 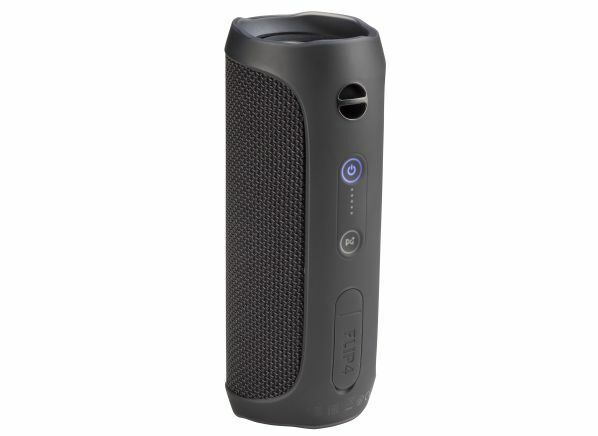 Once you add the optional Go Pack battery, the Heos 1 becomes splash resistant. All of this means that it should be fine to take the baby Heos outside during a drizzle, but you should definitely not take it into the pool. 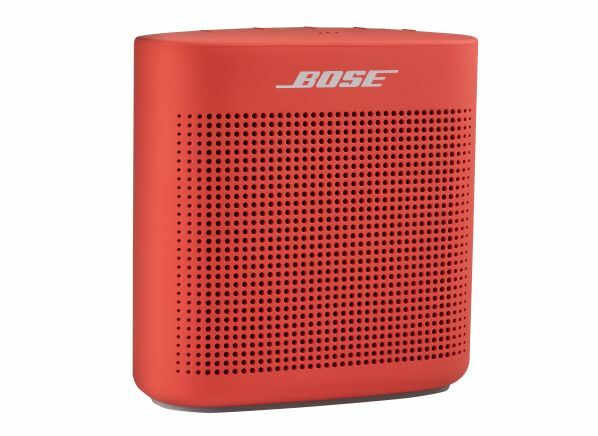 If you need a speaker that's not just portable but really invites you to carry it with you, look no further than the Bose Soundlink Micro. Just under 4 inches square, this device can easily strap onto a backpack or bicycle handlebars.